In this case, a college student gives her cat Tylenol not knowing its potential harmful effects. The cat survives, but the incident motivates her to research the reaction mechanism underlying the liver toxicity of acetaminophen. 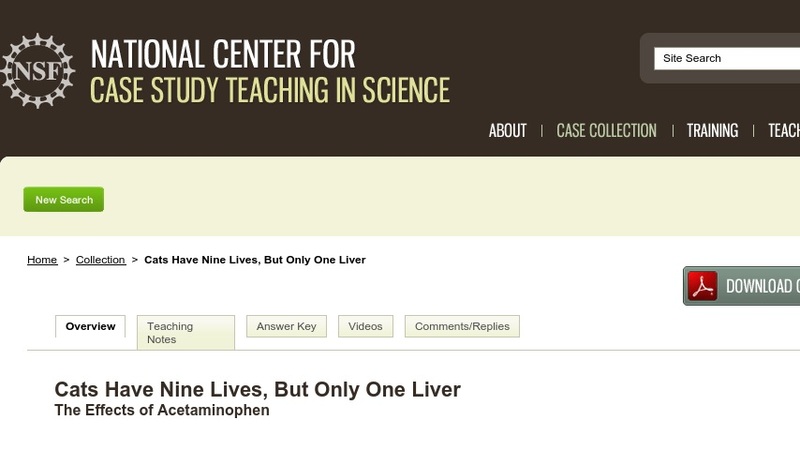 The case outlines possible reaction schemes that would explain why acetaminophen-containing products can be toxic to the liver. Students are required to write a detailed mechanism for each. The case also presents evidence from the literature that supports one of the reaction schemes and eliminates the others. Students must identify the correct reaction scheme and mechanism based on this evidence. The case can be used in undergraduate organic chemistry, biochemistry, medicinal chemistry, and pharmacology courses.